Posted May 9, 2018 in Uncategorized. It’s official. There will be a New Gods movie. It will be a big budget Warner Brothers film, becoming part of the DC Universe, and it will be directed by Ann DuVernay. The implications, for anyone who chooses to ponder this are quite mind boggling. What immediately comes to mind for me is that this will focus worldwide media attention on Jack Kirby as a writer/creator and not merely as as Stan Lee’s trusty go-to Marvel artist. Then too, what will the reaction be at the Lucasfilm division of Disney. Will many more people take notice of the obvious similarities that the Star War Universe has in common with a comic book that preceded the it by several years. 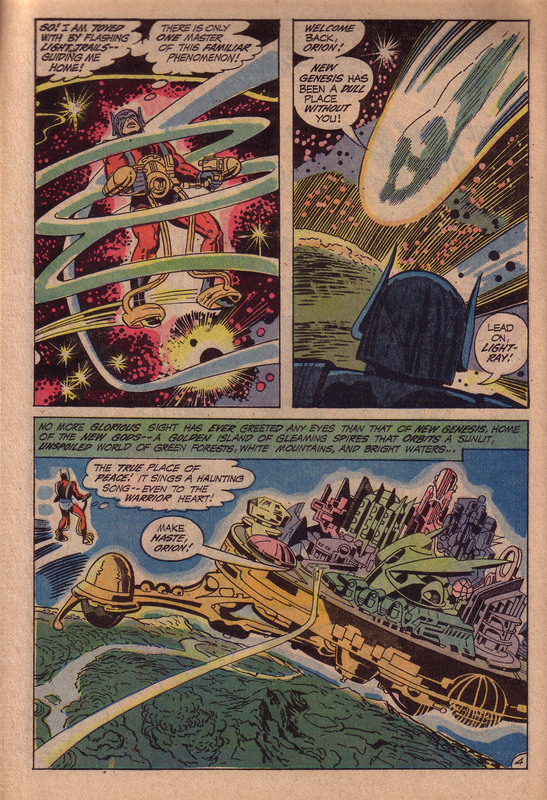 Jack Kirby will now leave his large imprint on two rival cinematic spheres of influence. The film that resonated best for me in the Marvel Universe was “Captain America, The First Avenger”, but that was because it was set in the time of the world that had the greatest significance to Kirby, the period of WWII. The conflict was against fascism, and Kirby had been in that fight. Fascism was ultimate “anti-life”. World War II was essential to the development of Jack Kirby’s ontology, his philosophy of the nature of existence. As a man fighting Nazism, for him it was the essential battle of good vs. evil. The second major part of Kirby’s ontology was mythology, anything from Greece, Norway, various pagan religions and most important Judaism. You can see it in the New Gods. 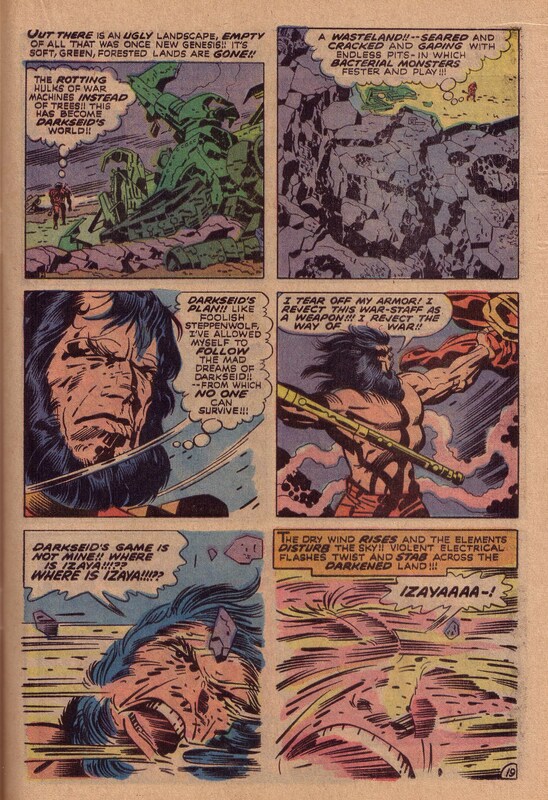 Apokolips vs, New Genesis. It is again the Manichean struggle of light against dark, good against evil. So far, in the Marvel movies, much of this seems to be turned into a romp for the sake of more and more action. There are so many characters vying for attention that it’s difficult to focus on the nature of the conflict. In “Thor Ragnarok,” a film that was visually very much Kirby influenced, it was difficult to understand what anyone stood for. Even Asgard, Thor’s home seemed to lack any coherence as a place from which gods and a mythology came. The New Gods will be the first total Kirby-verse, the opportunity to build a Kirby Ontology and incorporate it into the DC Universe. Hopefully, the hot new Hollywood director will approach the task with respect. Let us hope for the best. This will be a big step. It will also be a test. Is it better to trivialize something for the sake of entertainment and profit, or to take it seriously and try to interpret it as best you can? Sometimes, someone’s grand vision of someone else’s vision can lead to something incoherent, or neither here nor there? After all, this is pop culture, Comic books. Does it really matter? For those who revere Kirby, it certainly matters. Nearly every panel he conceives, such as the two featured here, gives any half-wit an almost complete set of directions on how to interpret it. New Genesis, shown above, is a total environment, richly textured and peopled by consistent characters and worldviews. 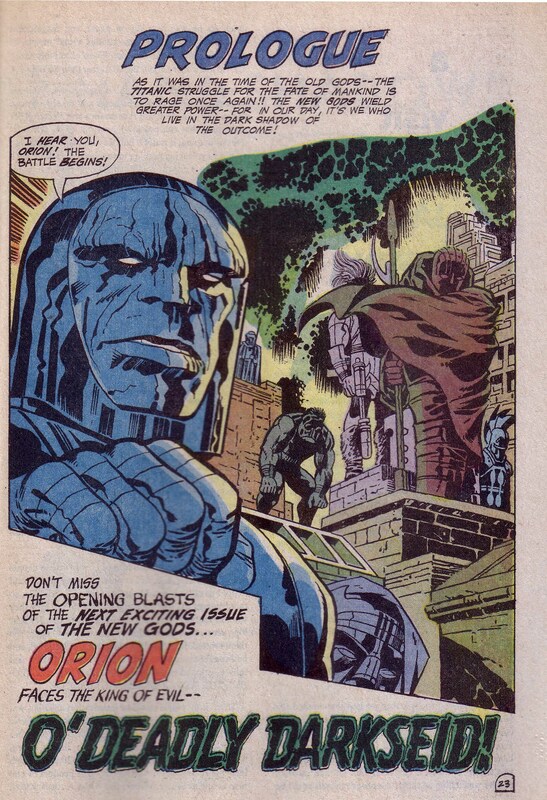 Darkseid and Apokolips shown below, gives us the figure and realm of a being whose very nature is the antithesis of the freedom of independent thought. So we should hope for someone who can take that vision and give back something that is respectful of the greatest creative mind in the history of comics. Whatever happens, let’s at least be glad the King’s legacy and family are getting a shot in the arm.